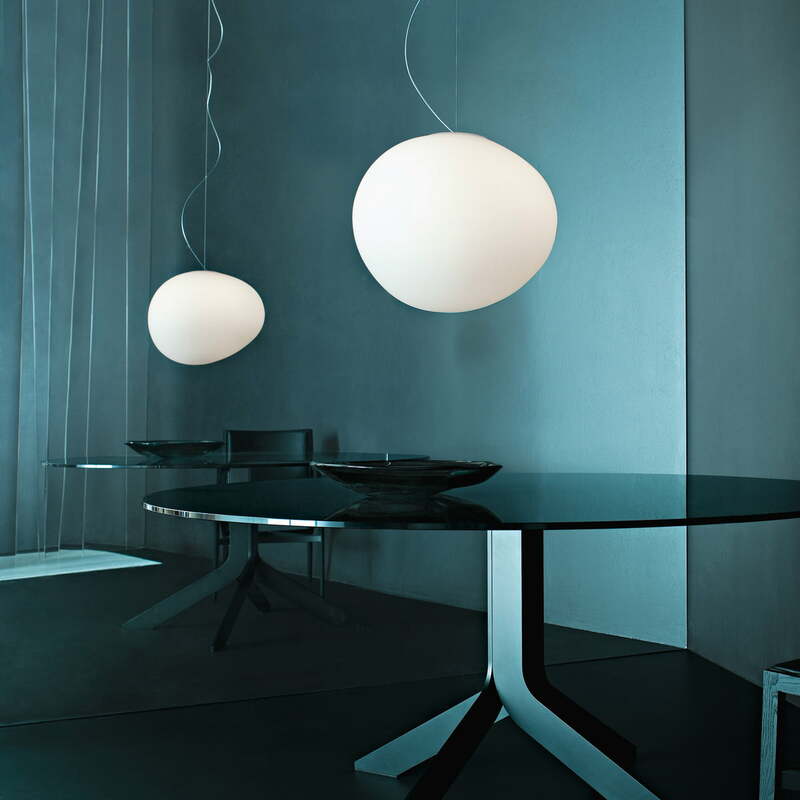 The Gregg pendant lamp LED was designed by the Italian designers Ludovica and Roberto Palomba for Foscarini. The asymmetrical shape, as well as the white satined surface is strongly reminiscent of water-polished pebbles. The sculptural silhouette of the delicate lamp seems to have a different shape depending on the angle it is seen from—a captivating experience for its audience. The warm white, energy-efficient LED light creates a cosy and comforting atmosphere, ideal above the dining table, sofa or desk. The pendant lamp is suspended by means of a thin wire, which gives the impression that the glass body is floating. Whether alone or arranged in series or clusters, a touch of modernity can be given to any interior. 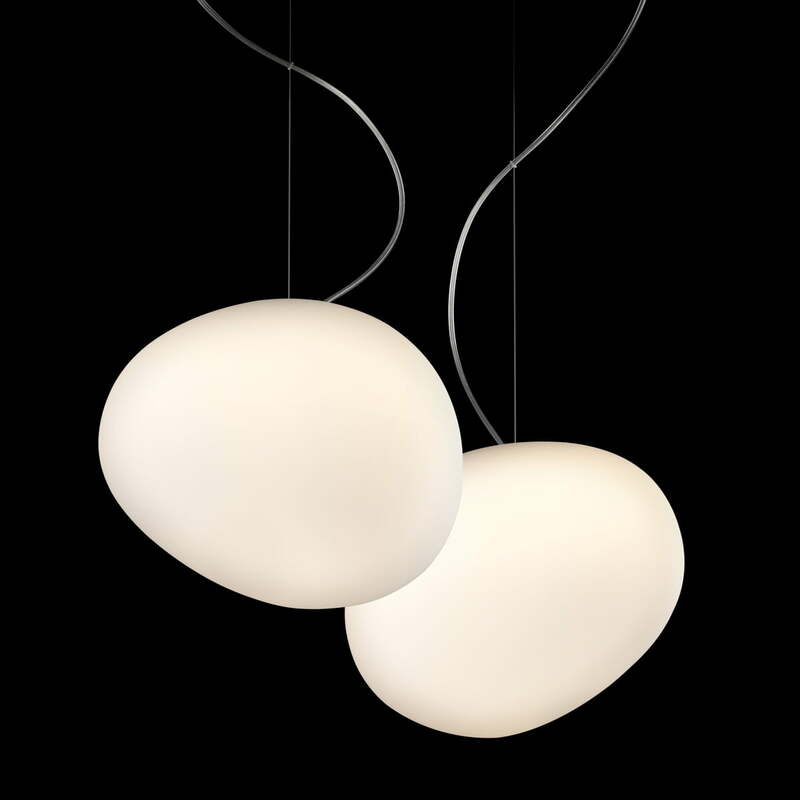 Isolated product image of the Foscarini - Gregg pendant lamp LED, midi / white. 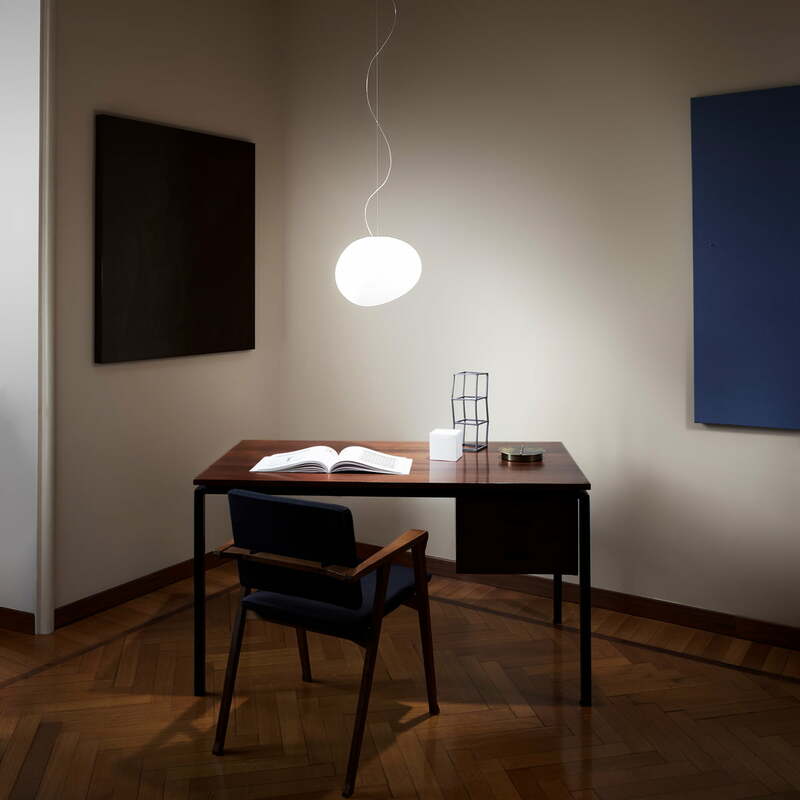 The Gregg pendant lamp LED was designed by the Italian designers Ludovica and Roberto Palomba for Foscarini. Lifestyle product image of the Foscarini - Gregg Pendant Lamp LED. The LED light by the Gregg lamp provides a cosy and inviting atmosphere in any room.